Can you get thick eyebrows with hair transplant? Home > Blog > Hair Transplant Articles > Can you get thick eyebrows with hair transplant? A twitch of your eyebrow or how you raise it can say a lot about what is going on in your mind. But what about those people who have lost their eyebrows due to an illness, trauma or some medications? However, there is hope for even such people, because these days, restoring eyebrows has become truly easy. In the hands of an experienced surgeon, you can go back to having natural looking eyebrows that will last you a really long time too. We get many enquiries regarding eyebrow hair loss, eyebrow hair transplant, eyebrow hair growth serums and creams and even castor oil. So we though to share some information with the patients. While most cases of eyebrow hair loss can be rectified with ease, there are certain cases, where there is no scope for restoration at all, such as alopecia universalis. The eyebrow is perhaps one of the more complicated areas of hair restoration, because the direction of the hair changes in every part of the brow. If you have ever noticed, the hair that is closest to the nose always stands upright, while the other hair can point either upwards or downwards. Also the arch is very important in females, the absence of which gives the masculine look in males. The density of eyebrow hairs vary, with very fine, sparse hairs at either ends to thicker and increased density in the middle part. This is why not all hair restoration specialists will promise you an eyebrow restoration process, because not only is it complicated, but also very hard to perfect. There is one other distinctive feature of the hair in the eyebrows – the hair that emerges from the follicles is normally at a very acute angle. This means that the hair that does grow is flat against the surface of the skin. Then there is also the fact that eyebrows grow in the form of individual strands, as opposed to follicular units founds on the head, which have from 1 to four hairs. Finally, the growth cycle of each hair on the eyebrows is very short; this means that the movement from the anagen stage to telogen and catagen happens much faster, as compared to hair on the scalp. This is one of the main reasons why, hair on the eyebrows never grow really long. The eyebrows are divided into 3 parts, head, body and tail and in each part, the direction of hair is different. The holes or slits are made accordingly in each part, parallel to the direction of the patient’s existing hair. They are also made at a very acute angle almost parallel to the skin so that the hair that emerges out is flat, as is the case with normal eyebrows. If this goes wrong, the eyebrow hairs can stand out forwards, giving a bizarre look. Very fine hairs are placed along the eyebrow borders and at its tail, while thicker hairs can be placed in the centre. The arch in females should also be made right. All these steps are very crucial in order to ensure that an eyebrow transplant looks totally natural. Single-haired grafts are mainly preferred for eyebrows to match with the normal eyebrow hairs, while two haired grafts can be placed in the middle to increase the thickness. The donor hair can be taken by FUE or Strip technique from the scalp. 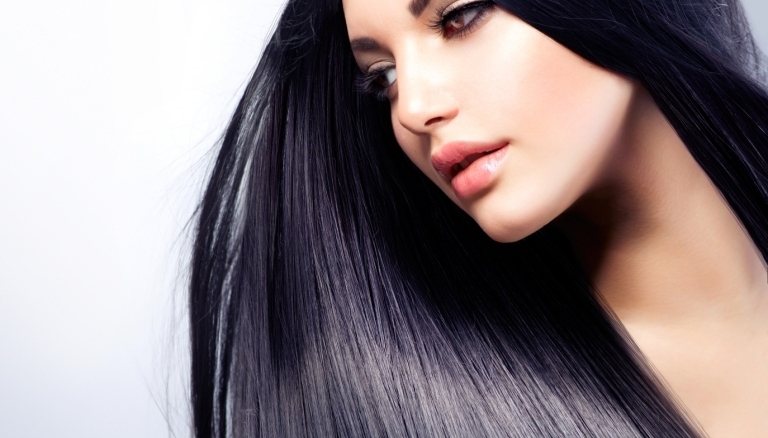 The hair that is being transplanted has to be placed in a manner that it lies flat against the skin. The hair should follow the proper direction of the eyebrow hairs. Transplanted hair, once it grows might need to be trimmed at regular intervals as, being taken from the scalp, they will grow longer than the normal eyebrow hairs. Donor area: For the restoration of the scalp, hair has to be taken from the part of the scalp, where the hair growth is the densest. This includes the back of the head or the sides. However, for an eyebrow, hair has to be extracted from an area where the hair matches the eyebrow the most. This is why, most surgeons prefer to harvest hair from behind the ear or from the mid donor region. Recipient site creation: The hair has to be placed at a 30 or 45 degree angle in a scalp restoration process, while in the brows the hair has to be placed acutely, flat against the skin. Graft placement: The placement for scalp restoration is simple enough – straight in, but for the brows, there is the need for rotation to match the curve of the existing hair. Type of grafts preferred: For a scalp restoration, multi-haired grafts are more preferred as they give good density with less number of grafts. 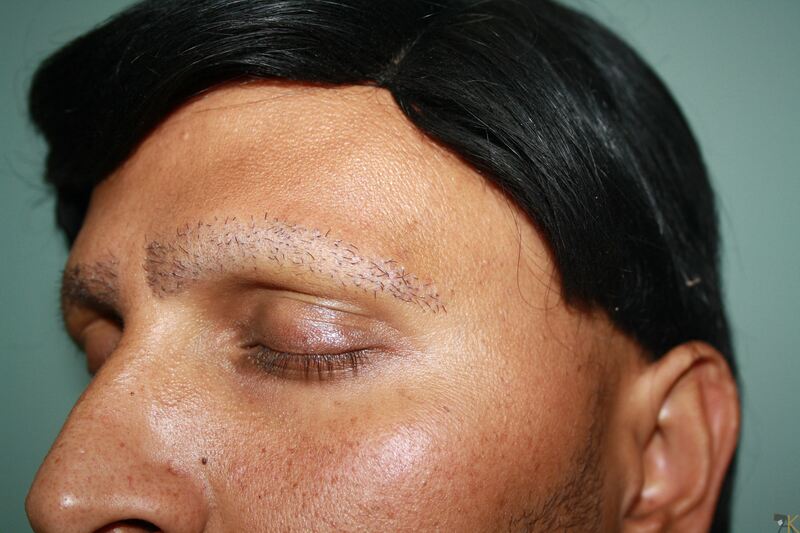 In case of eyebrow restoration, fine single-haired grafts are essential to give a natural look.